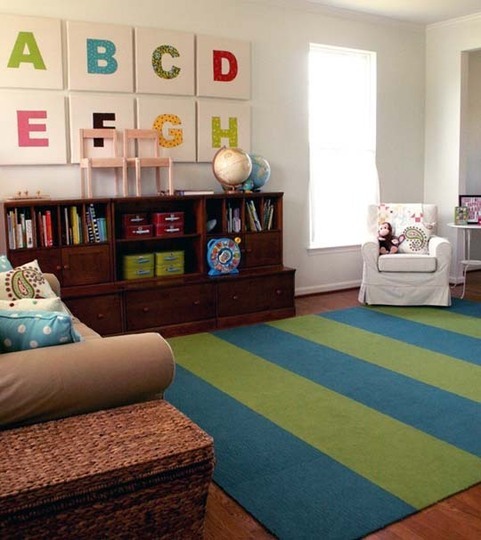 Check out this great playroom. So cheerful and crisp. Do you think it's always that neat? Wish mine was! And those alphabet canvases... simple but eyecatching. Perfect for a kid's bedroom, too. Wouldn't these be great in a bedroom shared by a sister and brother? Girly fabrics and boyish fabrics all working together to make the alphabet. Fun!